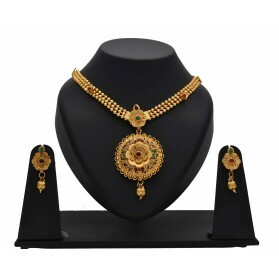 This imitation temple jewellery model necklace set is a dance ornament. Nagapadam model enamel stones studded with white stone is aligned in a beautiful designer chain with adjustable back thread. It can be worn for traditional temple performances and classical dances like Bharatanatyam, Mohiniyattam and Kuchipudi. This imitation pearl hanging Red/Green/Whitestone Necklace jewellery is used for Bharatanatyam, Kuchipudi and other Indian classical dance performances. It has imitation gold coating. best for kids and adults equally. Imitation red stones floral design dance jewellery necklace with big floral pendant and adjustable back chain used for Bharatanatyam, Mohiniyattam, Kuchipudi and other Indian classical dance performances. Very beautiful and is best for kids and adults equally. Imitation Green, Red and White Stone studded Mango model Dance Jewellery necklace with peacock dollar used for Bharatanatyam, Kuchipudi and other Indian classical dance performances. This item is not for everyday wear. It has imitation gold coating. 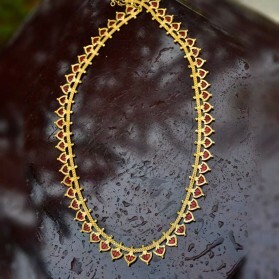 One Gram gold plated Kerala Traditional Red enamel big pulinakham necklace. It has an adjustable Back chain. 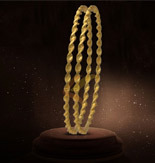 It is worn by women with Sarees or ethnic wear. 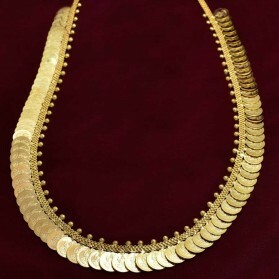 This choker necklace also was worn by South Indian brides and Traditional Dancers. This imitation pearl hanging multi colour Necklace jewellery is used for Bharatanatyam, Kuchipudi and other Indian classical dance performances. It has imitation gold coating. 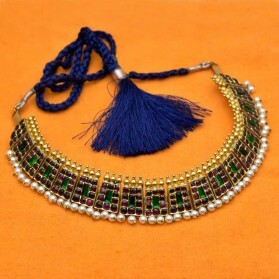 Each rectangular piece of this artificial Poothali Necklace has multi colour stones studded on it. Pearls dangling from each piece. best for kids and adults equally. This is a Kemp and green stone studded Poothali Necklace with pearl hangings. 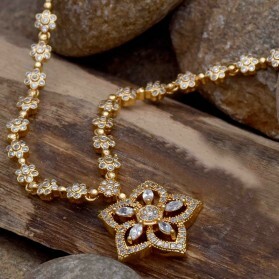 This temple jewellery necklace is mostly popular with Kerala brides for temple weddings and Classical dances like Bharathanatyam, Kuchupudi and Mohiniyattam.